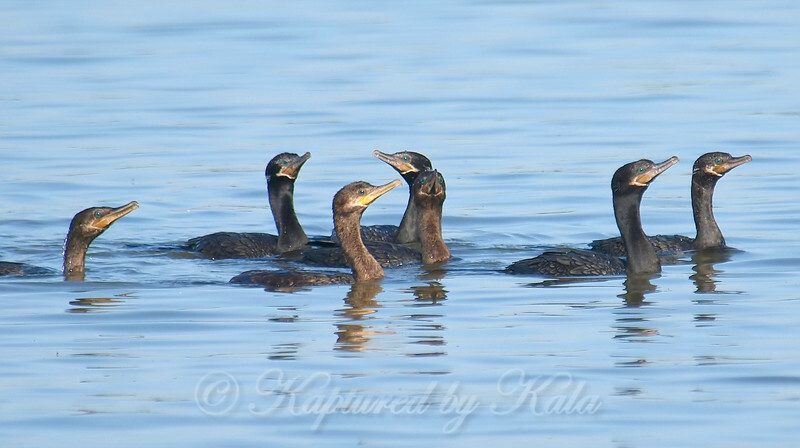 I'm used to neotropic cormorants being solitary. When I ran into gathering of them, I did some research. Found out that they fish cooperatively like pelicans do. This shot was as the gathering was going on with new birds arriving from all directions. Check out all those pretty blue eyes.